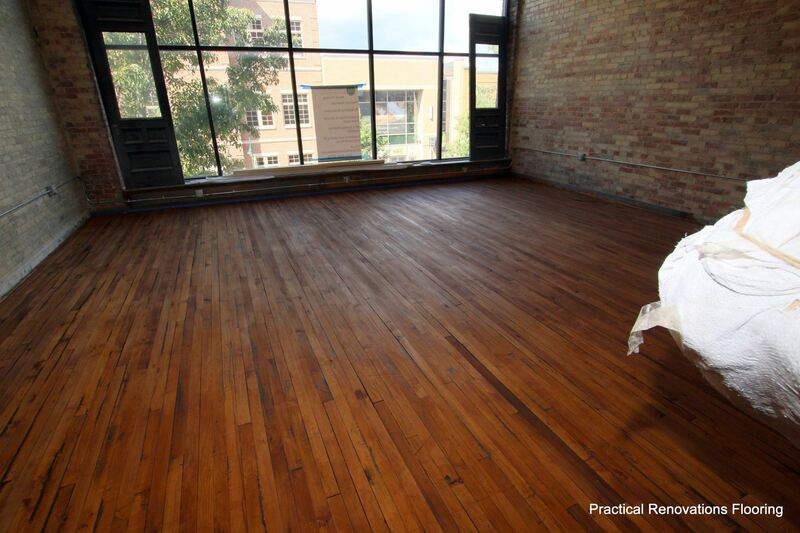 This is a renovated 100 year old warehouse turned vacation condominium on Union Street in Traverse City, Michigan. 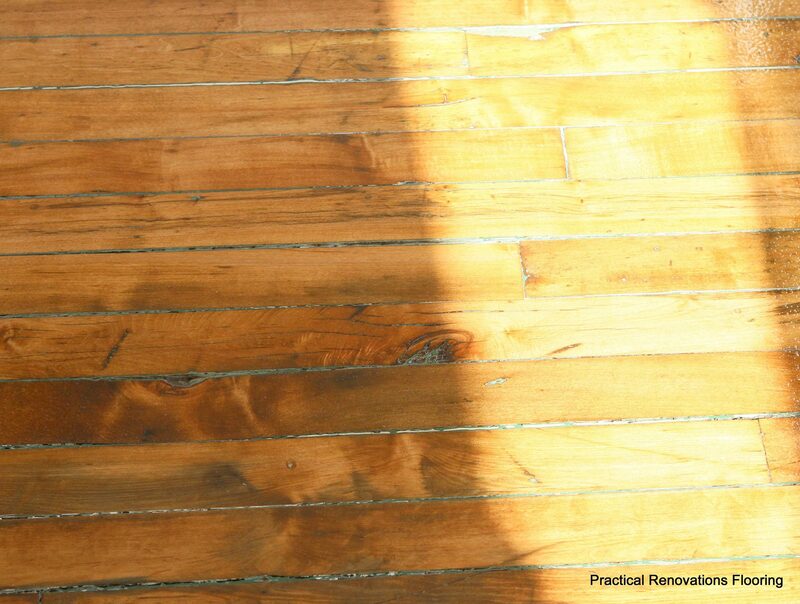 The images shows a portion of the middle stage process needed to restore a floor of this age. This stage requires sanding off the old paint and prepping the wood for staining. Another portion of this process requires applying polyurethane oil based finish. This is the satin coating that is applied over a darker stain. Due to the age of the wood it is much sturdier and more solid than newer wood as well as imitation wood materials. This makes staining more difficult and can require multiple steps to be completed over a span of several days. 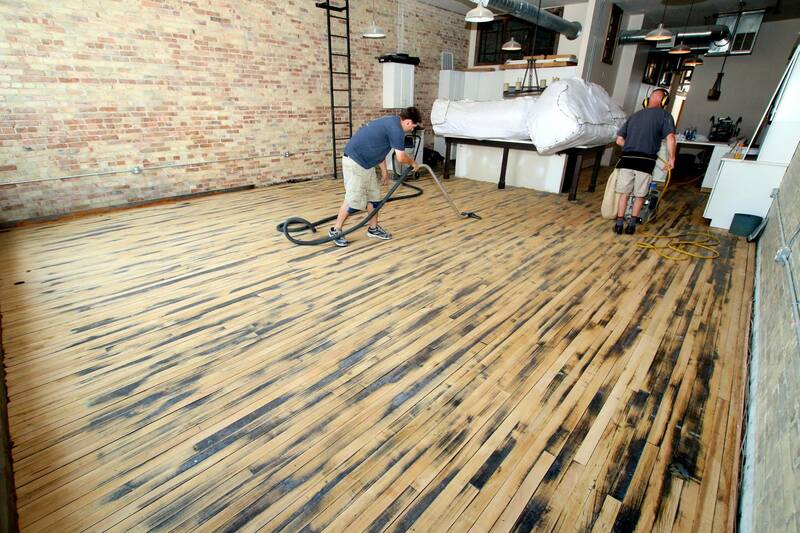 Each layer must be adequately dried before the next coat is applied. This does not mean that these jobs are the kind we would prefer to avoid. 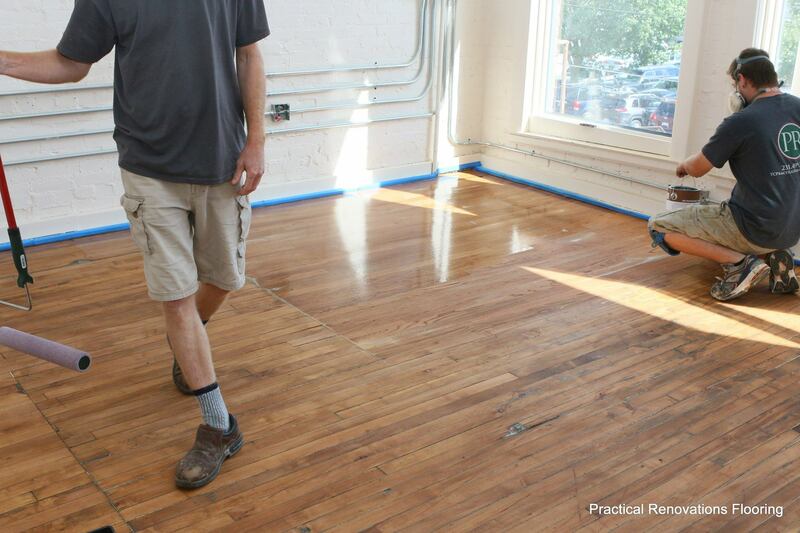 It may take several coats to restore the wood floors, but we undertake the projects with heart and passion. 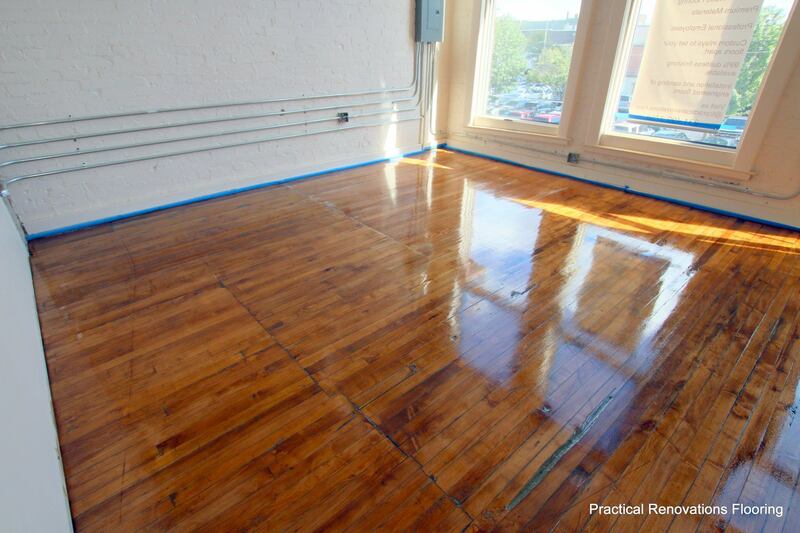 We love restoring these floors to their original or better than original glory. We take pride in every job we do and give every floor the time and attention it needs. Not to mention, it’s wonderful seeing a restoration project unfold from its’ inception to completion. Much like a painting, the work is done I layers and the full beauty is only realized once the finishing touches have been applied. Feel free and look through the following images associated with this restoration. You will begin to get an idea how this kind of restoration work will pan out. 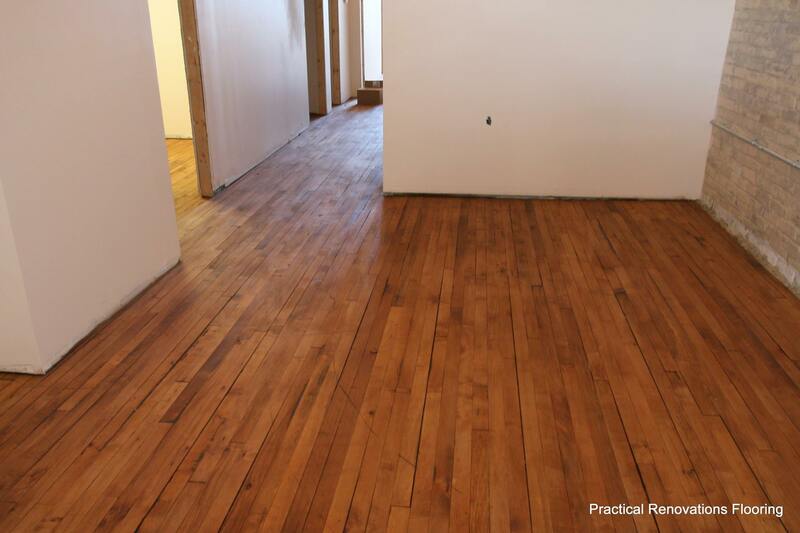 It also helps you understand what to expect should you decide to restore an old floor with us as well as getting to see what kind of quality and diligence you can expect from choosing Practical Renovations in Traverse City, Michigan for your vintage and antique flooring restoration project.